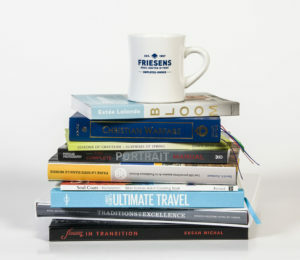 Friesens produces high-quality print products for large and small publishing houses, independent publishers, Universities, Art Galleries, Museums and many others throughout Canada, United States, and beyond. We have regional offices that allow us to provide face-to-face service to customers in markets throughout Canada and the United States. Friesens specializes in high quality colour, duotone, one-colour, and multi-colour printing using web offset, sheetfed offset, and digital equipment. We can handle short-run work starting at 250 books all the way through to hundreds of thousands of books.